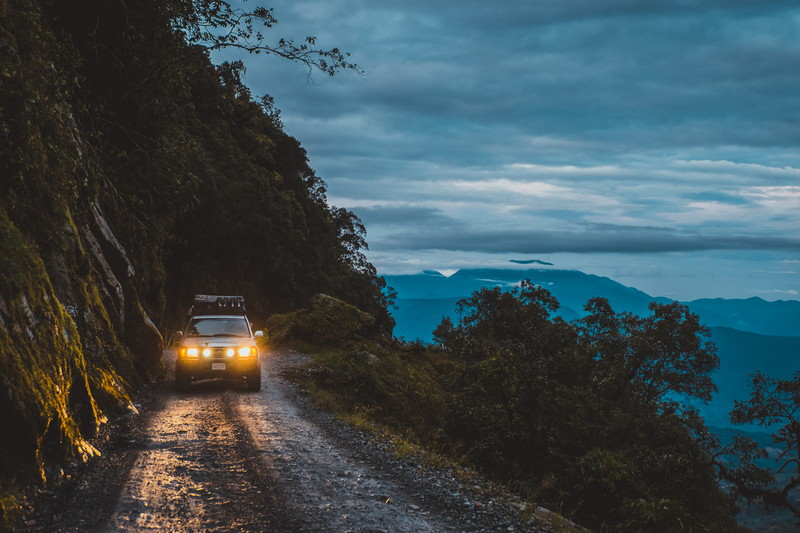 There’s a little-discussed and often feared portion of overland travel, and it’s not what you might expect. Unlike armed robberies, corrupt officials, or remote breakdowns, this thing cannot be avoided, which for many people makes it all the more terrifying. I’m talking of course, about the realization that there will be an end to your overland journey. After all of the planning, the risk-taking, the glorious moment of departure, and the surreal experience of wandering the earth, you will eventually have to return to daily life. 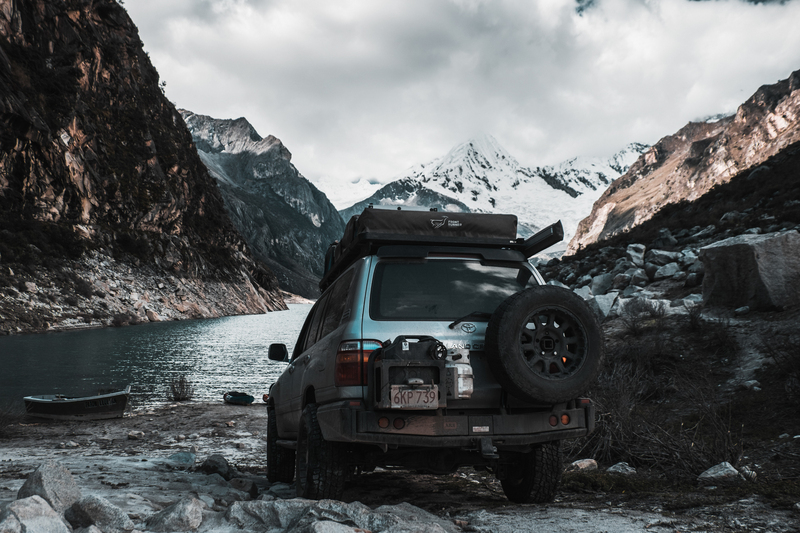 Some travelers continue to hold on to their adventure through their vehicles, sharing a special bond with them for the rest of their lives, but others choose to sell them, allowing the trucks to move on to new journeys. The latter is how this 100 Series comes to us today. 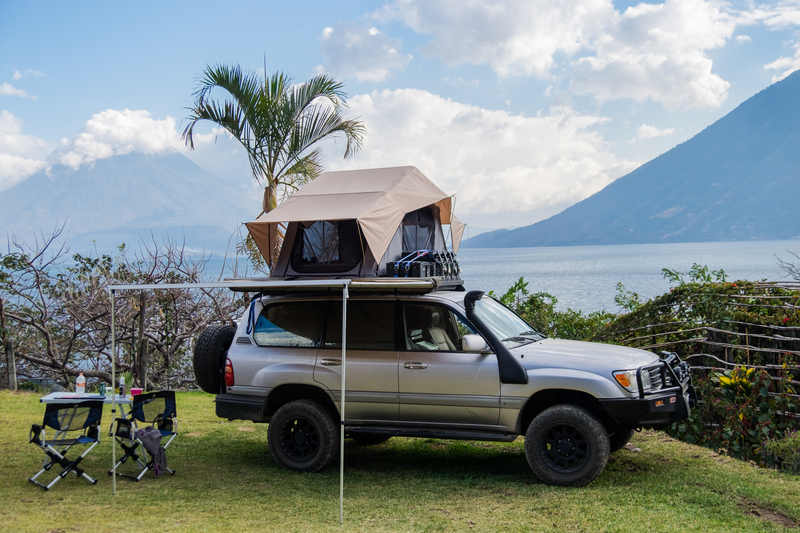 Owned by Boris and Susan of Turn Right at the Amazon, this Land Cruiser has traveled from Reno, Nevada, all the way down through Central and South America. It has now returned to Boston and is up for sale to any enthusiast looking for a well-loved and well traveled Toyota. Here’s what you need to know. 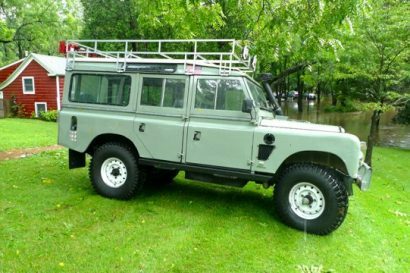 This 1999 100 Series has been decked out with all of the gear you’ll need to go gallivanting around the world. You can see the full list here, but we will cover the basics. 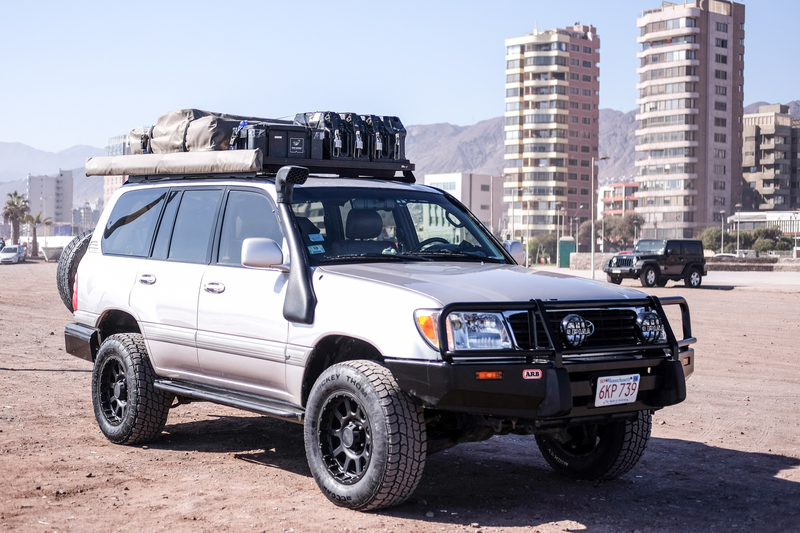 This Land Cruiser is equipped with an unmodified example of the legendary 4.7L V8, as well as factory front and rear locking differentials for improved traction and capability on the trail. It has an Old Man Emu suspension system, which provides plenty of room for the larger all-terrain tires and aftermarket wheels. The owner states that there are less than 10,000 miles on the current set of A/Ts, but does not specify which tires from the photos are currently installed. 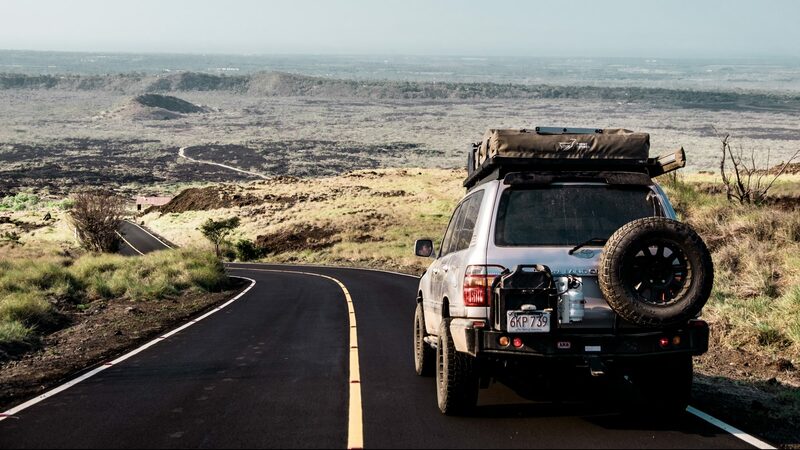 An ARB bumper protects the front end of the Cruiser from impacts, while a matching rear with dual swing-outs improves the departure angle while providing additional space for the spare tire and fuel cans. There is no winch installed. Sleeping accommodations are provided via a Front Runner rooftop tent, which we’re guessing is probably nearing the end of its life. 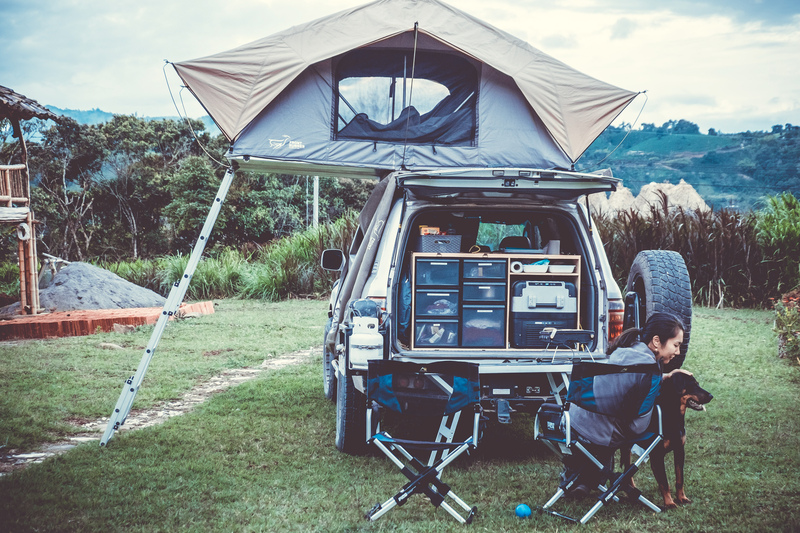 This particular model is lightweight, suitable for two people, and mounted to a matching Front Runner roof rack which also carries additional jerry cans and wolf pack boxes. For shade on hot days, or shelter from a storm, a 2.5M awning is mounted on the passenger side. There’s also a solar shower with a changing room and shower stall for privacy on the road. Inside you’ll find a custom storage system with six drawers and a place for the 50-L Dometic fridge, which has enough space to hold food for two people for roughly a week. The drawer system also houses a full outdoor kitchen with a two-burner Primus stove, a table, two chairs, and some other odds and ends which fill the cracks and crevices of the system. The rear swing-out holds the propane gas canister for cooking fuel. The Land Cruiser looks to be in good condition overall, without fading paint or excessive interior wear. 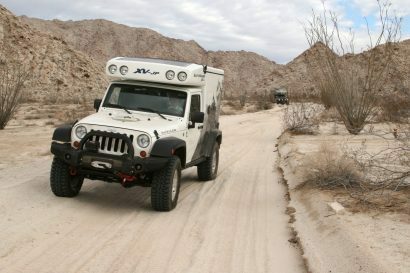 The owner states that it was immaculately cared for prior to their purchase, and although it has certainly been put it through its paces during this trip, it wanted for nothing where service was concerned. There are plenty of records dating back through the truck’s lifetime, including maintenance done during the trip, most of which was at Toyota dealers. Boris and Susan were also kind enough to provide some answers to frequently asked questions, so we’ve included those below. How was the car serviced? 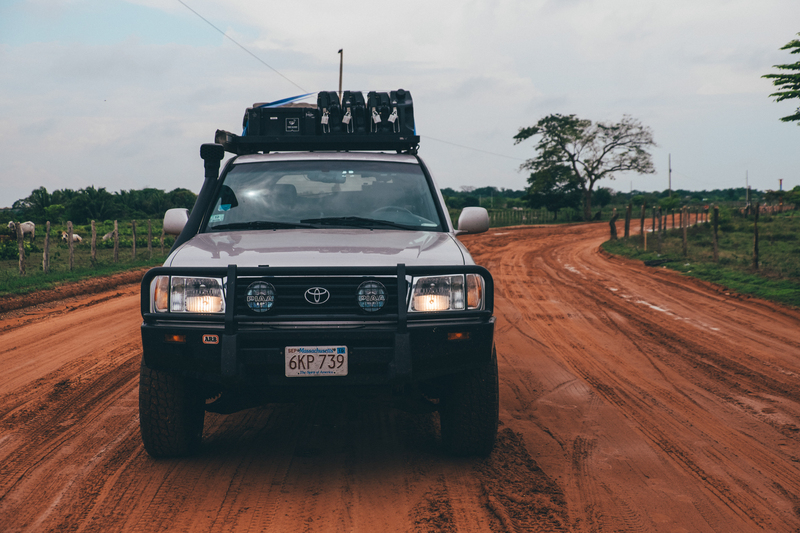 During our PanAmerican adventure, we’d always aim to have full inspections and service done at Toyota dealerships. Service records available. Prior to us purchasing the vehicle, it was also always serviced at Toyota dealers in NV/CA with service records available from the previous owners. The car is currently registered in Massachusetts. How many people does the car currently fit? It has two rows of seats and can comfortably fit 5 people. A third row can be installed back, although we don’t have the actual seats. When traveling, we’d travel with up to four people quite comfortable (we have an extra tent we’d use for the guests). What’s the range on the vehicle? It has a 26-gallon tank, plus we can carry an additional 15 gallons in jerry cans, so we can travel up to 500 miles or 800 kilometers between fill-ups. How old is most of the equipment? Most things were purchased in late 2017 as we were preparing for the trip, so most of it is less than one year old. Send me an email to boris@mordkovich.com. Please bear with me if it takes a day or two to respond, as we’re still on the road and the Wi-Fi is not always reliable. For more information, visit the original ad here. 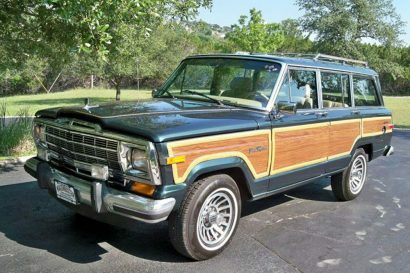 Seems like a very complete 100 Series for a not-bad price. 100 series land cruisers did not come with factory front locker. Only factory rear lockers in early 100s. So if it does have front locker, it has to be aftermarket. Some connect the front locker switch wire to the older 80s series factory front rear locker switch.